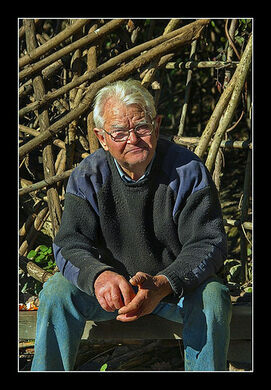 Josep Pujiula i Vila is at odds with the government. 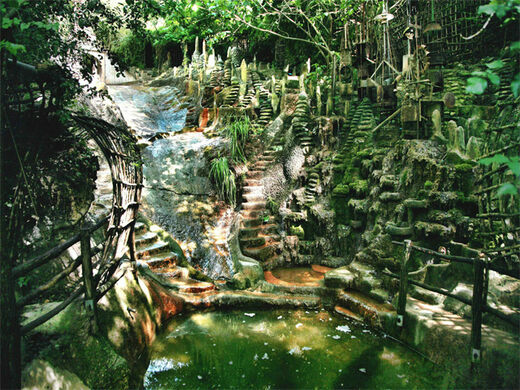 The former Spanish textile worker has actually been in opposition to the government for over 30 years, since he began working on creating his own amazing city out of natural landscape. 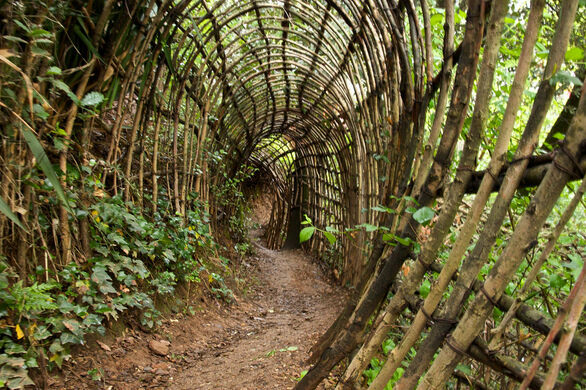 In 1980, Pujilula i Vila began by crafting a labyrinth alongside the Fluvia, a river in Catalonia, Spain. After creating his initial labyrinth, he began to make other structures in the area as well. 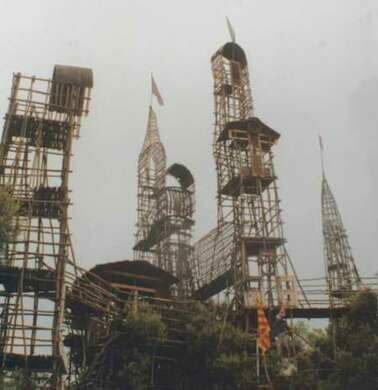 Pujiula made towers out of branches and trees stretching 30 meters into the air. 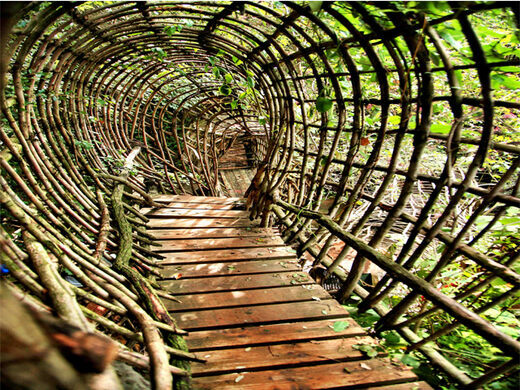 He coiled wood into tube-like tunnels and walkways and he even made a small livable cabin. As his world began to grow, the community took notice. Families came there with their children to solve the labyrinth and wander through the woodsy environment. Sadly, there were not only curious visitors to his creation. Along with wonderstruck children and their parents, came homeless people sleeping in the cabin, vandals and worst of all, the Spanish government. Inspecting the area, which was built on public land, the government quickly deemed Pujiula’s homemade park a dangerous environment. Over growing concern for visitor safety, he was pushed toward dismantling his work. Although safety was seen as a pretext for government action on the land, officials also wanted to use the land to create a new highway. 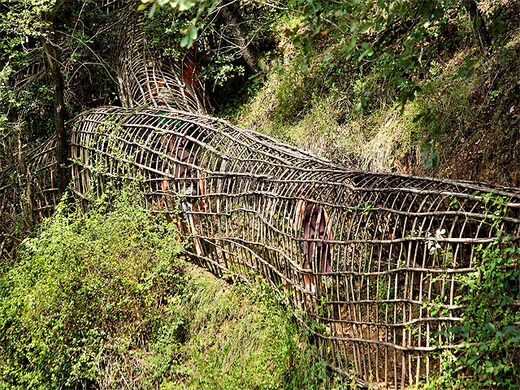 In 2002, they got their wish and Pujiula took apart his creation to make room for government roads. While he was beaten by the government fair and square, he refused to give up. Shortly after, he began to create a similar site near his previous work. 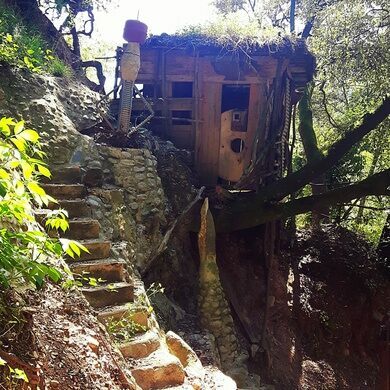 Although not quite as grand as his wonderland, Pujiula, now in his late 70s, has not given up on his dream. Slowly, he has worked to rebuild it, and a masterful tubed walkway and tower stand as a monument to his perseverance and architectural skill. 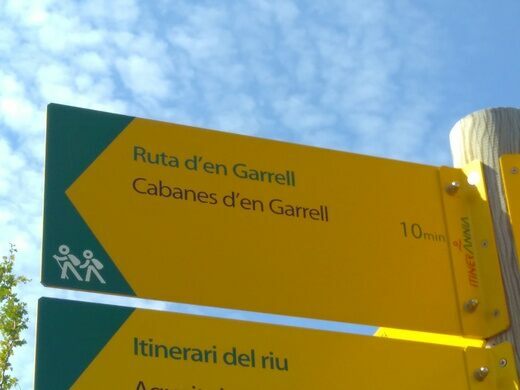 Follow the signs guiding to "Parc Garrell," which is another name for this place.